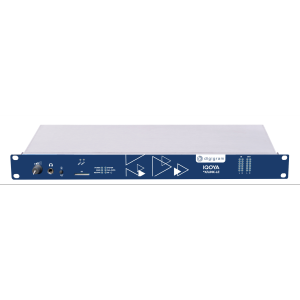 IQOYA X/LINK is a 1U rack audio codec designed for the delivery of one or several audio programs over IP networks. 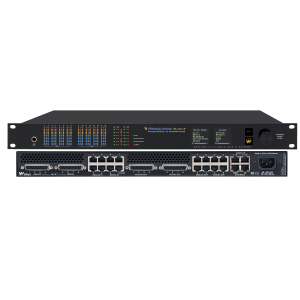 It can be used in legacy analog and AES/EBU audio infrastructures, as well as in full-IP infrastructures, thanks to the support of Livewire, AES67, and RAVENNA technologies. IQOYA X/LINK is based on a low consumption, fanless, and robust dedicated hardware platform powered by two redundant power supply units. 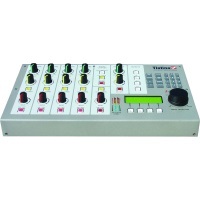 It features 4 analog audio I/Os, 2 stereo AES/EBU I/Os, and supports synchronous AoIP I/Os (Livewire, AES67, RAVENNA). 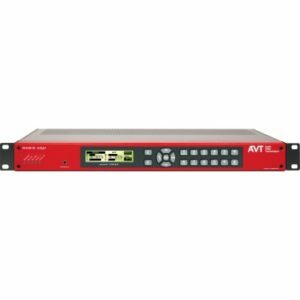 It supports from one to eight stereo I/Os, and allows for multi-format and multi-protocol encoding and streaming of each audio source. 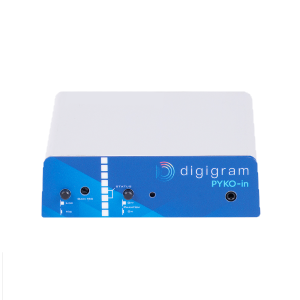 Using the well-proven Digigram advanced FluidIP™ technology, IQOYA X/LINK offers a rich set of features allowing for the reliable transport of audio content over managed and unmanaged networks (FECs, redundant dual streaming with time diversity, VLANs, QoS, IGMPv2 and v3), and for the continuity of audio service on transmitter sites (3 backup levels, backup on SD card, switchable hardware by-pass of the first audio input to output in case of power supply failure). Designed for 24/7 operations: 2 redundant power supply units, fanless, dedicated hardware design, Digigram Fluid IP™ streaming engine. Audio I/O channels can be selected among 4 mono analog channels, 2 stereo AES/EBU channels, and Livewire/AES67/RAVENNA channels.